A newly established Library IT Common Knowledge Group (CKG) solicits participation from interested members. Library IT CKG membership is open to all levels of staff involved with and responsible for IT business and operational processes, as well as software development and the integration between business process and IT operations. As with all CKGs, membership is limited to staff who are directly engaged in and/or responsible for work that is under the purview of the CKG. Please obtain your supervisor’s approval prior to participation. More info on UC Libraries Common Knowledge Groups available. 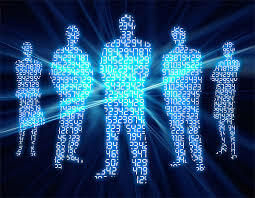 Categories: Common Knowledge Groups | Tags: Information Technology, IT | Permalink. Feedback surveys pertaining to the assessment of the UC Libraries Advisory Structure’s first year of operation have been administered and responses received from the Council of University Librarians, Advisory Structure Strategic Action Groups and Coordinating Committee members, Common Knowledge Group members, and LAUC Executive Board members. 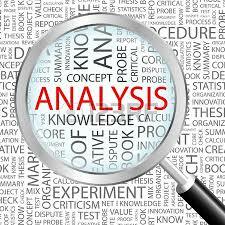 An external organization development consultant is in the process of analyzing and synthesizing survey data. Next steps include drafting a report to discuss with the Coordinating Committee on November 21st and finalizing the report for CoUL on December 19th. Once CoUL has a chance to discuss the assessment findings, next steps will be identified and shared widely by the Coordinating Committee. Categories: Coordinating Committee, Council of University Librarians | Tags: Assessment, Feedback, Organization Development | Permalink. 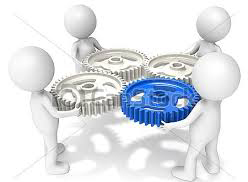 In August the UC Libraries Advisory Structure’s Strategic Action Group 3: Collection Building & Management (SAG 3) shared a “concept proposal” for a new vision of the UC bibliographer groups, requesting comments during September 2014. SAG3 received 19 responses from individuals as well as groups including Bibliographer Groups, divisional LAUC groups, and CDL. Many responses acknowledged that the description of the current campus environments and evolution of responsibilities of UC librarians is accurate. There was support for improving elements of the current system, though equal concern that the proposed changes might dismantle relationships and processes that are perceived to be working well at least for some groups. Questions were raised about roles and reporting lines, scope of activities and authority, organizational alignments, size and nature of the groups, leadership responsibilities and prospects, and communication effectiveness. The points raised by respondents resonated with SAG 3, leading us to a major revision of the proposed next steps. Update the Guidelines for UC Bibliographer Groups, outlining expectations for roles, responsibilities, activities, and participation to ensure they remain vital and effective. Work with current UC Bibliographer Groups to self-identify appropriate groupings such as mergers, separation, dissolutions or creations aligned with the academic needs and staffing across the UC Libraries. Recommend support from CoUL to provide a common suite of resources and tools for use by all UC Bibliographer Group members as a building block to encouraging deeper collaboration between campuses (e.g. central hosting of wikis, web sites, rosters, listservs; collaboration tools for calls, collaborative documents and project sites). Develop a toolkit to aid UC Bibliographer Groups’ function and communication with other UC collection-related groups. Encourage continued clarification and communication about the roles, responsibilities, and activities of UC collection-related groups to determine where modifications and new approaches are beneficial. Thank you for your dedication to the UC Libraries and the feedback that helped determine what we believe are positive next steps. 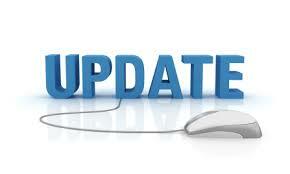 Further information will be provided by SAG 3 as progress is made. Categories: SAG3: Collection Building & Management | Tags: Bibliographer Groups, Collection Groups, Concept Proposal | Permalink. The UCLAS Webinar held on October 30th, UC Libraries Systemwide Plan & Priorities, is now available online. University Librarians Lorelei Tanji (UCI) and Ginny Steel (UCLA) discuss the Systemwide Plans & Priorities for FY 2014-15 as well as on-going systemwide priorities through 2018. The 60 minute recording includes the slide deck, participant questions and answers, and the original audio in its entirety. More than 100 employees across UC Libraries and the California Digital Library tuned into the webinar. Thanks to the presenters and participants for an informative and interesting discussion of UC Libraries priorities. Categories: Systemwide Plan & Priorities, UCLAS News, UCLAS Webinars | Tags: CoUL, CoUL Chair, University Librarians | Permalink. Two newly established Common Knowledge Groups (CKGs), the Digital Humanities CKG and the Digitization CKG have recently launched and are seeking interested members to participate. Digital Humanities CKG membership is open to all levels of staff interested in and responsible for scholarly work that combines the methodologies and concerns of the humanities with those of computing (e.g. data mining, data visualization, GIS, statistics, text mining, digital publishing). Digitization CKG membership is open to all levels of staff interested in and responsible for technologies, equipment, workflows and digitization standards for materials of all formats held by the UC Libraries. As with all CKGs, membership is limited to staff who are directly engaged in and/or responsible for work that is under the purview of the CKG. Please obtain supervisor approval prior to participation. Categories: Common Knowledge Groups | Tags: CKG, Digital Humanities | Permalink. The Coordinating Committee seeks applications from interested candidates for the position of Portfolio Manager on Strategic Action Group 3: Collection Building & Management (SAG3). 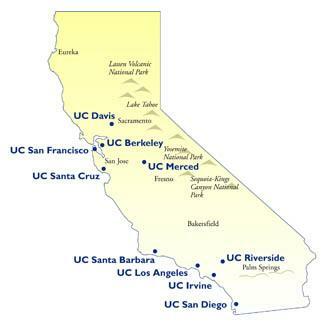 This position provides a unique opportunity to become involved with the advisory structure and to work with colleagues to develop strategies and implement projects and services for UC-wide shared collection building and management. A detailed description of the position’s responsibilities has been shared systemwide via email. Interested candidates should obtain supervisor approval and submit a short statement of interest to the Coordinating Committee by November 14, 2014. Categories: Coordinating Committee, SAG3: Collection Building & Management | Tags: Portfolio Manager | Permalink.